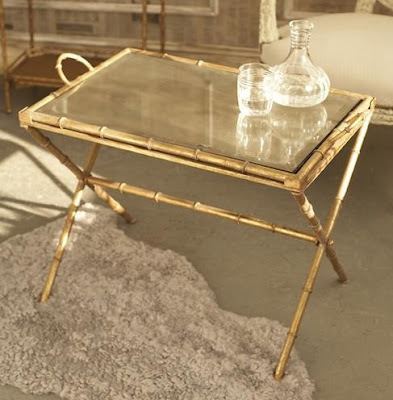 I have a great secret source for gold faux bamboo pieces that look fabulous for very little expense. But this is just between you and I-we don't want everyone in the blogosphere to know! They are all available online at The Mermaid Hut and the quality is great-I have seen the entire collection and have several myself. 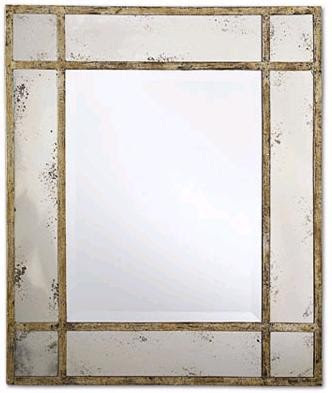 The antiqued mirror gives them real elegance and sophistication. 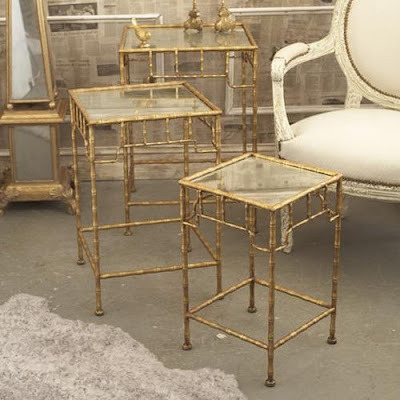 These pieces have a glamorous Hollywood Regency flair that would be great in so many rooms from the living room to the bedroom to the bath. 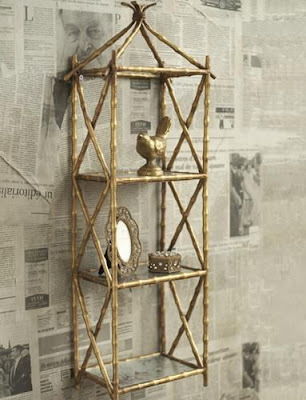 Priced from $89.00 for the set of two wall shelves to $399.00 for the stunning five shelf tower or etagere. I even love the way they've styled these spaces with the newspaper wallpaper. 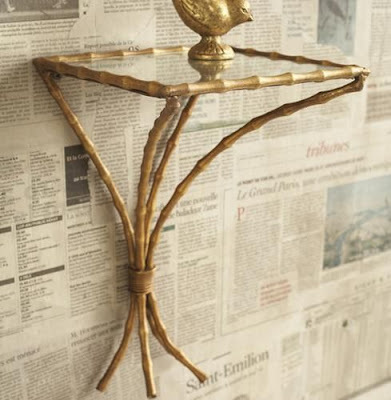 Right again.....this is a great source for affordable bamboo inspired accent pieces. I have two small tables we bought 35 years ago and I still use them, the look never goes out of style. Which is what you keep saying. 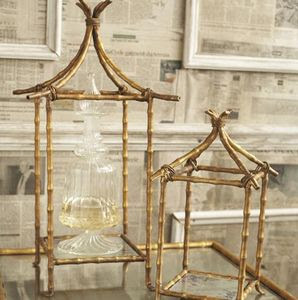 I think gold bamboo is my favorite element in home decor. Thanks for the great post! Great find; thanks for sharing, Beth! Thank you so much for the web page. Great find. Can not believe the price point. Sande-The prices and quality are wonderful. Have a great weekend. The Glam Lamb-I agree-I love it. 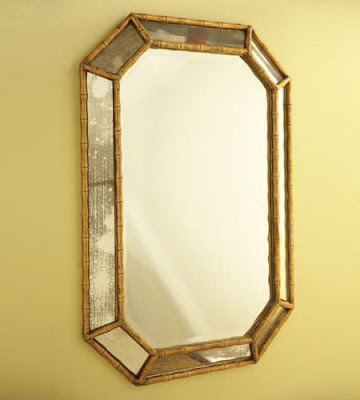 Averill-I know you like silver, but gold would be great in your house too! CC-Everyone I have sent there has loved what they've gotten. Another great secret revealed! Thanks for sharing this wonderful source! Yes! The Mermaid Hut is great. I still really, really want to get that etagere and fill it with huge art books laid horizontally. I hope you have a delightful weekend, Beth. oooh lala! i need these all for my dining room! I can't believe all the great bamboo you rounded up here, incredible sourcing my dear!! 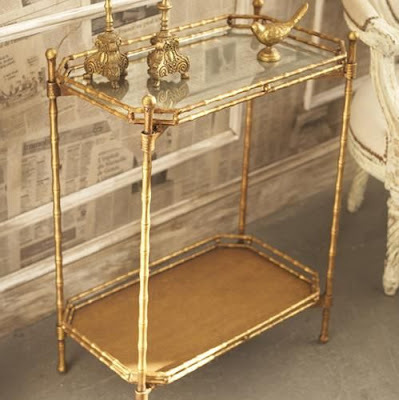 I love the lightness visually, the glam of gold, the inherent strength of bamboo, now gilded! Theresa-My pleasure-have a great weekend. 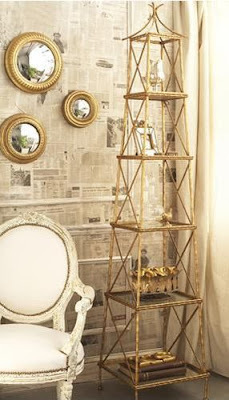 Jenn-The etagere is my favorite. Thanks for the mention on Department of the Interior. I am really enjoying your series on decorating the office. Sarah-I think that piece would be great in a bathroom too. Have a lovely weekend. 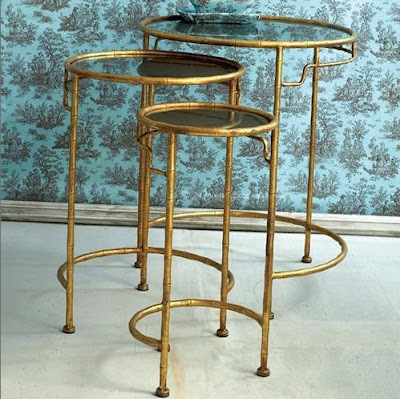 Kitty-A pair of the etageres or the mirrors would be especially great in a dining room. Kit-These pieces would work well in many spots. And yet I cannot figure out - why is it called the Mermaid Hut? But I won't quibble over great design. LOVE your choices here! They have so many wonderful things. SF-Much of their inventory is beachy. Emmie-So glad you're finding things you love. Deb-That's so funny-no Chinoiserie growing up for sure. The bed is stunning-thanks for asking. I'll take photos tomorrow.